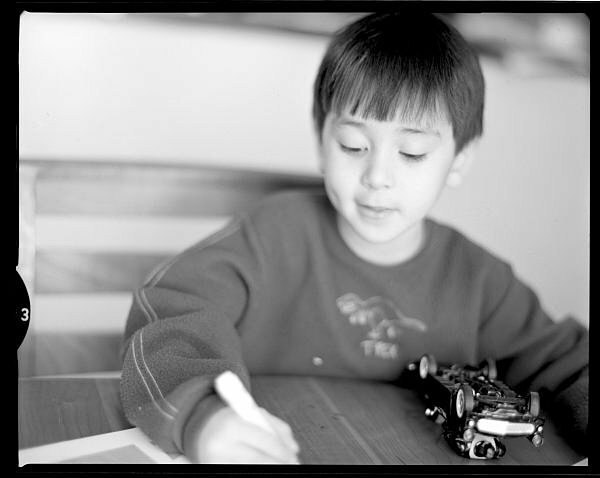 Two of my children at the kitchen table on a late Saturday morning, as interpreted by the Schneider 150mm f2.8 Xenotar. These shots were made hand-held, f2.8 at 1/60 or so, using the camera's coupled rangefinder and viewfinder. 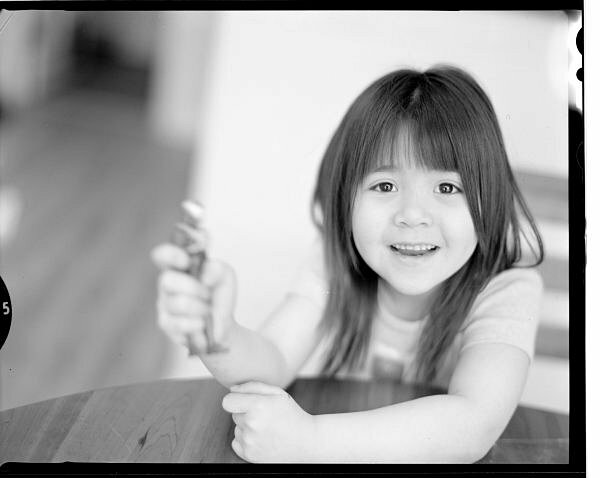 My favorite lens in 35mm is the Leica Noctilux for its ability to "crop depth" via its narrow depth of focus. 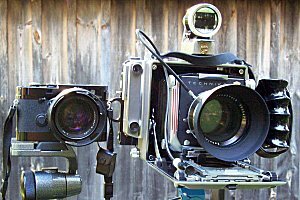 Thus, I was drawn to the Schneider Xenotar 2.8 150mm when I recognized that its depth of field at f2.8 in the 4x5 format is about the same as the vanishingly shallow depth of field of the Noctilux at f1 in 35mm. 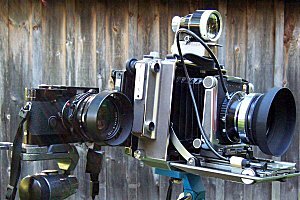 The Xenotar-Linhof combination, side by side with its little brother, the Noctilux-MP. Believe me, the difference to the eyes in nothing compared with the difference to the arms.